The global leader in casual footwear for men, women, and children recently opened its first concept store in SM City Marilao. Combining comfort and style with a value that consumers know and love, crocs will surely bring exciting retail experience to Bulakeños. Crocs’ collection offers a wide variety of product choices designed for women and men’s athleisure lifestyle. These include the Clog, the Slide, the Sandal, the Flip, the Slip-On, the Lace, the Pacer, and the Mule. Every pair of shoes within Crocs’ collection ensures a perfect fit for consumers who want to feel comfortable all day every day or who simply want a stylish complement to their athleisure wear. 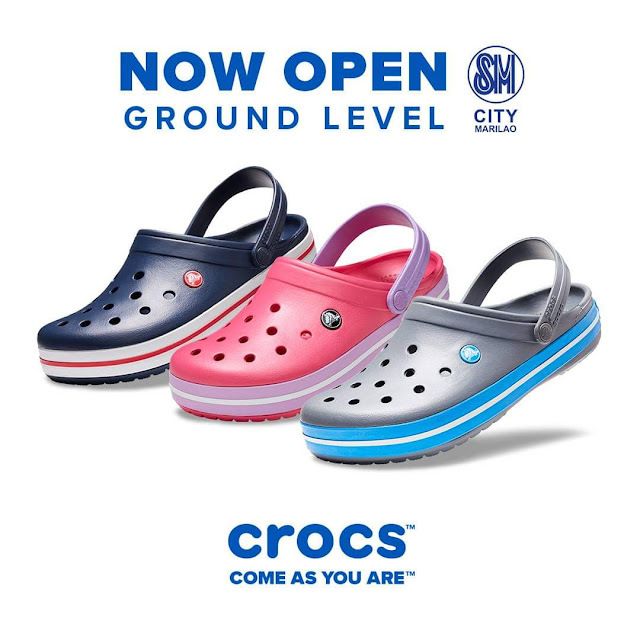 Crocs store is located at ground floor of SM City Marilao. For more exciting happenings, visit SM City Marilao’s Facebook page or follow us as Instagram @SMCityMarilao.